I downloaded Sculptris lastnight and have been fiddling around with it. 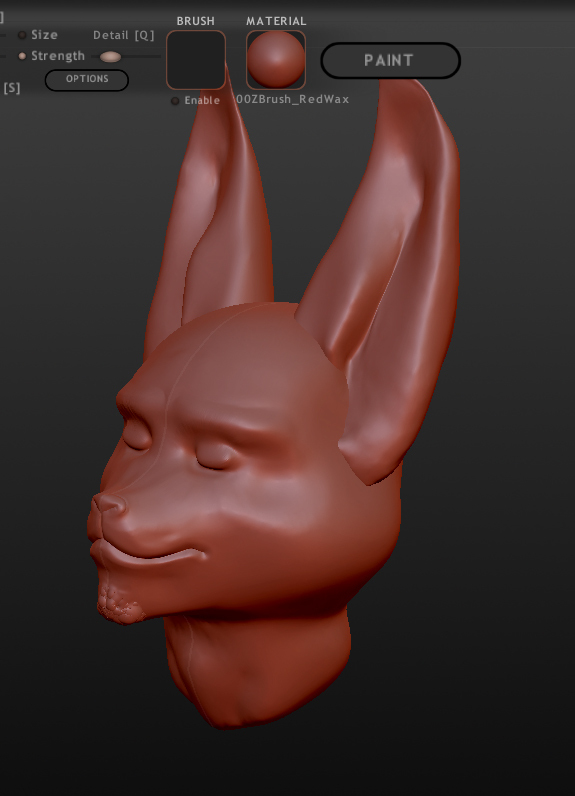 Slowly creating my first ever 3D headshot of my fursona. So far I'm highly impressed with myself! :D I know the ears are alittle...lets say funky, but I'll figure out how to improve those sooner or later! If anyone, ANYONE can give me any tips on how to improve things, lemme know. Also, if any of you have been pondering on giving Sculptris (Think of it as ZBrush Lite) a go but worry it's too hard. TRUUUUUUUST me. This is so damn easy and fun to use :D ZBrush blew my mind with the amount of stuff on screen, but this is so SO so sooooooooo simple! Oh. Does anyone know how to render in Sculptris? So I dont have to keep screenshotting and opening up Photoshop? D: Or atleast the ability to remove all the icons so I can get a better screenshot! Thankies!